The continuing rise in prevalence of such inflammatory conditions as food allergies, asthma, autism-spectrum disorders, diabetes, obesity, fatty liver disease, and autoimmune and neurological disorders cannot be fully explained by lifestyle choices or genetics. The increased incidence of these and other chronic disease and disability has been attributed to overload of the immune system by an increasingly aggressive federally recommended childhood vaccine schedule. Although it is difficult to reverse reverse vaccine-related brain and immune system damage, there are steps we can take to maximize immune function and minimize the chronic inflammation that vaccination can induce. 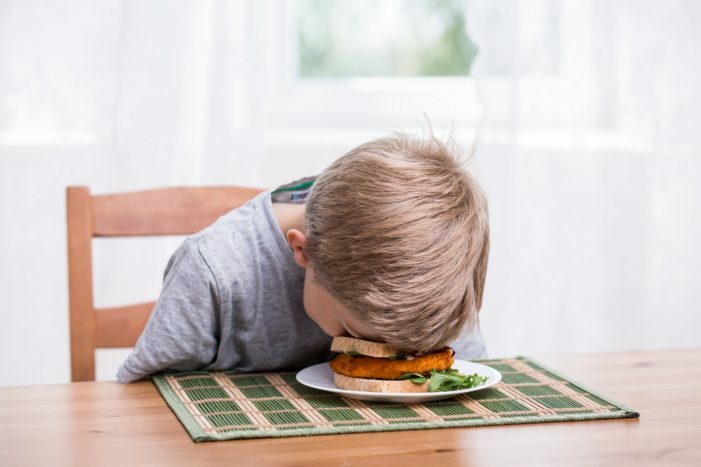 The alarming rise in incidence of chronic, inflammatory-type disorders among children cannot be fully explained by such theories as the hygiene hypothesis, poor eating habits or defective genes. Certainly, there is more to the root cause of food allergies, asthma, autism-spectrum disorders, type 1 and 2 diabetes, obesity, nonalcoholic steatohepatitis (NASH) (otherwise known as fatty liver disease), metabolic syndrome, and autoimmune disorders than can be rationalized as being caused by too much anti-microbial hand sanitizer, too many French fries or genes gone bad. This is not a new theory. In a 17-year-old cover story “Shots in the Dark” written by Barbara Loe Fisher of the National Vaccine Information Center (NVIC) that was published in The Next City magazine, statistics for profound increases in autism spectrum disorder, asthma, learning disabilities, types 1 and 2 diabetes, and arthritis among children were cited.2 Those chronic disease and disability statistics were updated in Fisher’s 2004 Mothering Magazine article, “In the Wake of Vaccines,” and in a 2008 published review of the medical literature, Vaccines, Autism and Chronic Inflammation: the New Epidemic. It has become the norm to see peanut-free tables in school cafeterias, coolers full of inhalers at every school sporting event, and parents buying EpiPens along with pencils and backpacks at the start of the school year. With the numbers of chronically ill children and adults increasing every year, finding better medications to treat asthma, allergies, and high blood sugar levels is necessary, but it can’t be the whole answer. It’s not possible to “un-vaccinate,” and it’s very difficult to repair the damage done by other modern day practices that have led to chronic inflammation and compromised immune function. However, there are ways to address chronic inflammation in the body. Much attention has been paid to the influence of diet on gut and brain health, and nutrition may be our greatest tool for reversing chronic inflammation. To that end, there are a number of specialty diets and dietary guidelines that may help reduce dangerous inflammation in the body. The basic principles of an anti-inflammatory diet recommend balance between the food groups and a focus on fresh, unprocessed foods and avoidance of foods that inflame the immune system. Breastfeeding has been shown to offer some protection against future development of inflammatory conditions, probably because of its irreplaceable impact on the development of the infant’s microbiome. 1 Classen BJ. Review of Vaccine Induced Immune Overload and the Resulting Epidemics of Type 1 Diabetes and Metabolic Syndrome, Emphasis on Explaining the Recent Accelerations in the Risk of Prediabetes and other Immune Mediated Diseases. Journal of Molecular and Genetic Medicine Feb. 19, 2014. 2 Fisher BL. Shots in the Dark. The Next City Magazine Summer 1999. 3 Focus for Health. Chronic Illness and the State of Our Children’s Health. The Vaccine Reaction Oct. 29, 2016. 4 Harvard Women’s Health Watch. Foods That Fight Inflammation. Harvard Health Publications Oct. 26, 2015. 6 Mercola J. Top Anti-Inflammatory Foods, Herbs, and Spices. Mercola.com Feb. 2, 2015. 7 Nordqvist C. Inflammation: Treatments. Medical News Today Sept. 16, 2015. 9 Jeong H, et al. The Effect Of Acupuncture On Proinflammatory Cytokine Production In Patients With Chronic Headache: A Preliminary Report. Am J Chin Med 2003. 10 Acupuncture Anti-Inflammatory Effect Revealed. Healthcare Medicine Institute Aug. 9, 2014. 11 Roy KA, Boucher JP, Comtois AS. Inflammatory responses following a short-term course of chiropractic treatment in subjects with and without chronic low back pain. J Chiropractic Medicine 2010; 9(3): 107-114. 12 Teodorczyk-Injeyon JA, McGregor M et al. Interleukin 2-regulated in vitro antibody production following a single spinal manipulation treatment in normal subjects. Archives of Physiotherapy 2010; 18(26). 13 Thomas JP. Healing for Vaccine Injuries Through Homeopathy. Health Impact News Nov. 26, 2016. 14 Guaraldi F et al. Effect of Breast and Formula Feeding on Gut Microbiota Shaping in Newborns. Front Cell Infect Microbiol Oct. 16, 2012. 15 Fisher BL. In the Wake of Vaccines. A Special Report for Mothering MagazineIssue 126 September/October 2004. NVIC.org. c. 2016. 10 Responses to "Sick is the New Normal"
probiotics and probiotic fermented foods, with probiotic starters, is good for the immune system and the digestive system. There are viral contaminants in vaccines which FDA prohibits physicians from testing for in disease diagnosis. The contaminants are known to be contained in the agents used to produced cell monolayers required for vaccine production. It is cheaper to use animal derived agents than a synthetic version Medium 199 developed specifically to avoid animal derived viral introduction into vaccines. One such agent cannot even be detected until the 132d doubling in the animal cell from which it derives because it is not infectious and only replicates when the cells it accesses duplicate. FDA has released vaccines containing up to 100000 of these viruses per a1ml dose the banned screening for the agent in diseases. This agent targets the cell nucleus and potentially triggers Anti nuclear antibodies (ANA) after a delayed period of normal cell doubling within any cell system which it may access during the sphase of mitosis…ANA are the hallmark of anti immune diseases. So many people think that the medical profession is next in line to GOD and they are unwilling to think for themselves. They need to do a little research with an open mind. These “diseases” vaccinations are suppose to prevent caused much less problems then the vaccinations themselves. If only people would open their minds and check this out for themselves. So true. When I look at the varicella vaccine, I wonder why that was included in the SB277 bill at all. Chicken pox is a mild illness, and I for one had it when I was a child as well as my siblings and the entire grammar school I attended. Now that it’s a required vaccine, I know of three people (one who was 4 yo) that got shingles or herpes after the injection. What kind of trade off is that? I also know a father who recd the MMR vaccine for travel and got mumps soon after. And boy who recd his MMR and lost all speech at 3 yo. And now we are hearing of vaccinated children being hospitalized with a “polio-like” virus in the Pacific Northwest? It makes one stop and think about what we choices we are making for the benefit or detriment to ourselves and children. When the medical community starts a campaign to warn parents of breastfeeding, that’s the last straw for me. Their interests are not in the health of our children, but elsewhere. I hate to see animal fats still demonized as well as red meat. In fact, the diet being used now to recover children most plagued with food allergies (FPIES) and other inflammatory disease (EoE) is called the “no-plant” diet by Natasha Campbell-McBride, MD who brought the GAPS (Gut & Psychology/Physiology Syndrome) diet to the United States thanks to the Weston A. Price Foundation. The only foods that seem to calm and repair the digestive system, thus preventing the steady stream of undigested foods and toxins from entering the blood stream are, in fact, meats, fish, animal fats, organ meats and sometimes egg yolks. The key is sourcing very “clean” animal products thus avoiding the inflammatory factors they may contain such as antibiotics, GMO grains, etc. I agree that animal products (meat, organ meat, milk, eggs, animal fat, etc.) that come from animals raised in confinement and fed a diet high in conventional soy, corn, and other grains is likely to inflame the human who consumes them. But careful sourcing makes these foods the most nutritious and healing foods we could choose. I don`t think that this will be our next state of mind. To be sick IS NOT NORMAL and we need to do whatever we can to have a healthy lifestyle. Don’t forget to avoid as much as possible GMO foods and non organic foods and fake organics. If you have eczema that you cannot explain, it may be GMO or sprayed foods you are eating. Even the meat you have to beware of, if they feed the meat distiller gmo grains, it’ll pass into the meat. Ditto pesticides and roundup. I agree. Really believe these so called vaccines are not intended to help us live healthier, illness free lives. I think it’s just to line the pharmaceutical companies pocket with our money. Most are born with immune systems that fight off illness and disease, so what are they really injecting us with and why..?? People need the freedom of choice to receive vaccinations and not be shunned from education or anything else for their choice. Whatever happened to our right to make our own decisions?